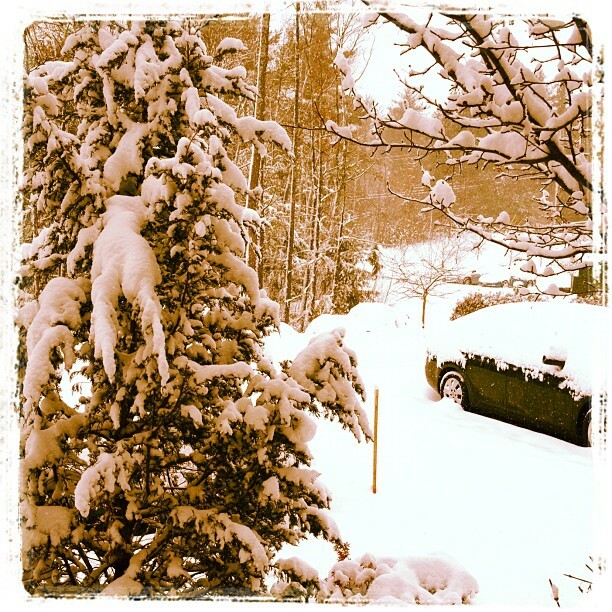 And it’s still supposed to snow a few more inches today! I guess the sky is making up for our lack of snow this winter. Yesterday, I failed to share another homemade snack. Unless you count wine… 🙂 So let’s get back on the snack track! The first time I saw hummus, I made an “ew” face and said thanks, but no thanks. My, how things have changed! I love to snack on hummus now. There are so many ways to enjoy it, and it’s pretty healthy for you! It’s full of fiber, high in protein, has healthy fats, and if you add garlic and lemon, it’s high in antioxidants too. Start with these simple ingredients. 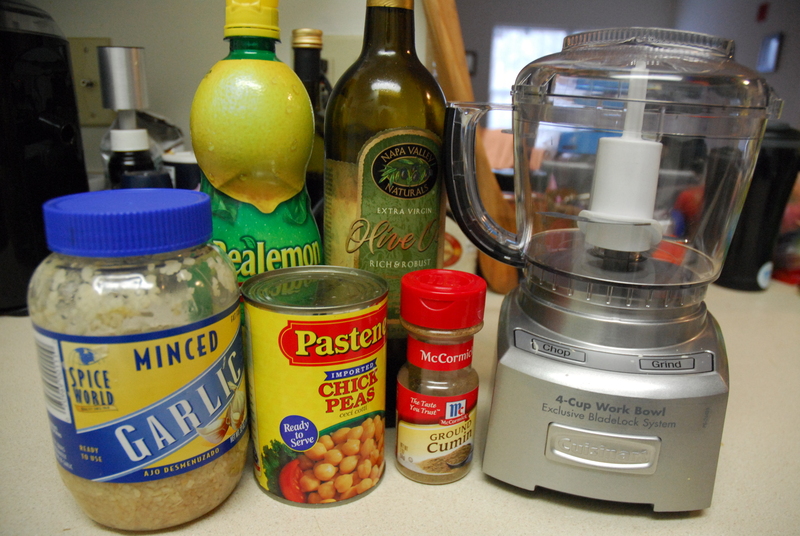 Add your ingredients to a food processor. Grind, adding olive oil gradually, until smooth. 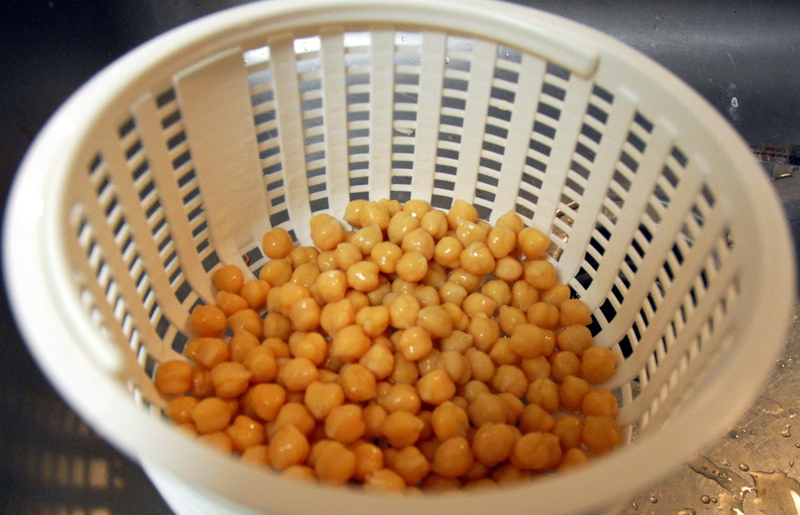 1) Drain and rinse your chickpeas. 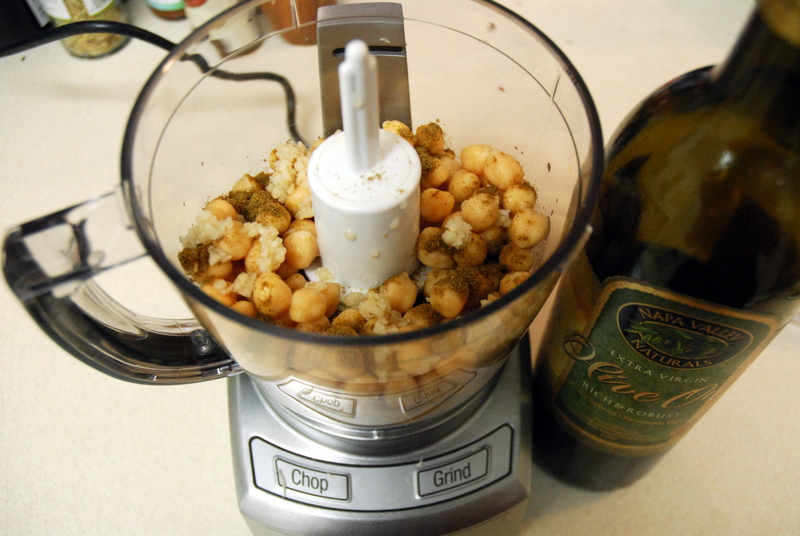 2) Add all ingredients, except the olive oil, to a food processor. 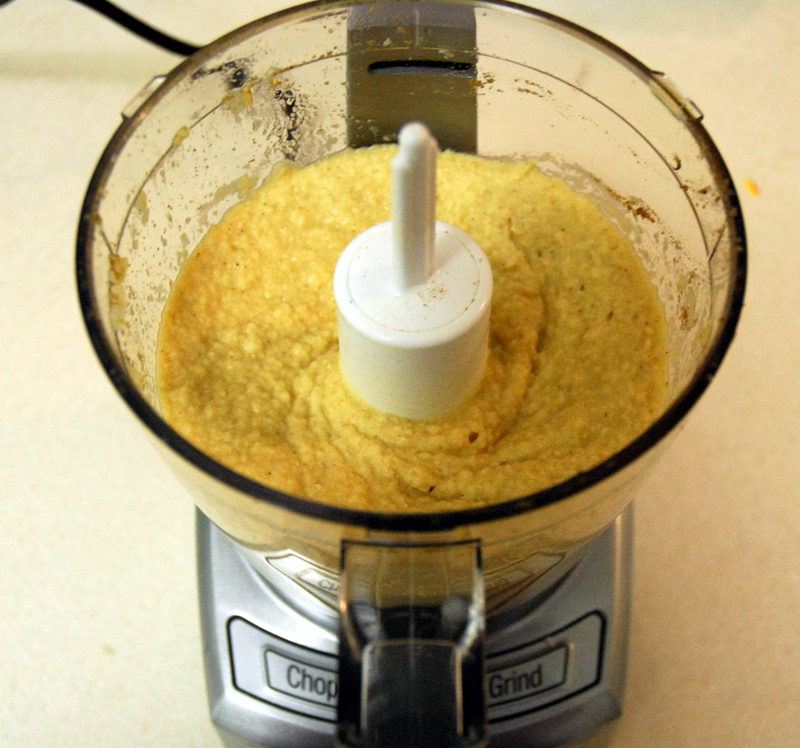 3) Add olive oil gradually at the top opening of the food processor. 4) Blend all ingredients until smooth. 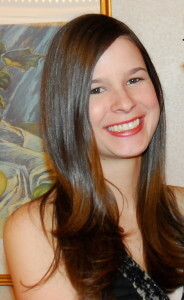 This entry was posted in Recipes, Snacks and tagged chickpeas, hummus, mediterranean, Snacks. Bookmark the permalink. 3 Responses to Hungry? 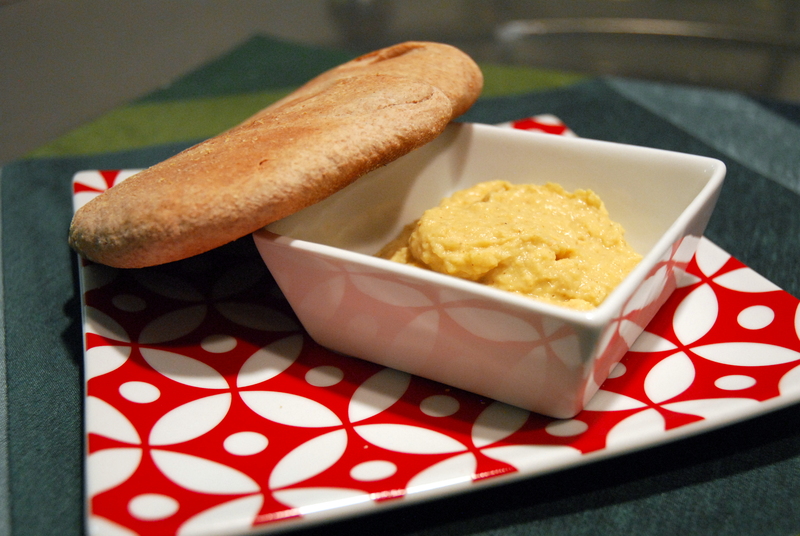 Snack on Garlic Lemon Hummus! Homemade hummus is the best. It’s so quick and easily customizable!